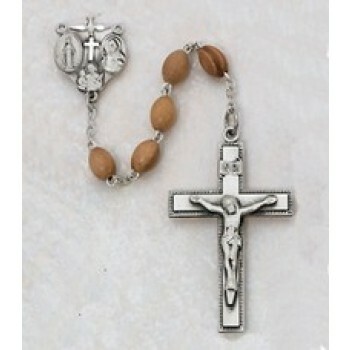 Matthew F. Sheehan is the leading provider of high-quality gold and silver rosaries. Our stunning 14K gold, sterling silver and gold filled rosaries are combined with beautiful Swarovski crystals or semi precious stones for a finished product that is unlike anything else on the market. Each rosary is clearly marked 14K, sterling or 12K GF and are proudly made in the U.S. by some of the most prominent manufacturers in the religious goods industry. 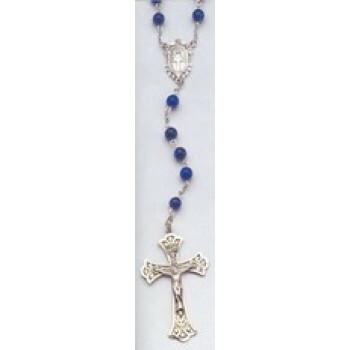 Our fine rosaries are the perfect addition to any upscale home or church. The rosaries are made of the highest quality materials and are expertly crafted with expansive details that add to the beauty of the design. High end stone beads complement the metal bases, adding color and an additional element of style. 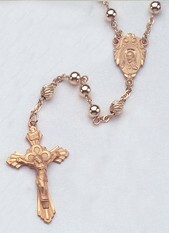 Matthew F. Sheehan is your source for high end gold and silver rosaries. Shop our expansive selection of top-quality designs and see why we have been a leader in the religious goods industry since 1907. Our knowledge and superior eye for quality allows us to bring you the finest goods at the best possible prices. 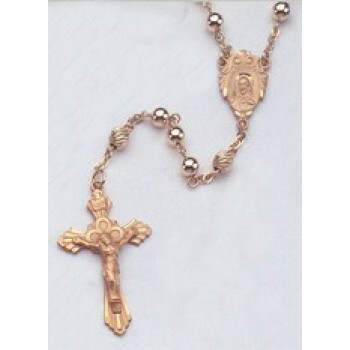 Shop us for your next 14K gold filled rosary or silver rosary and enjoy the luxury of owning one of our exceptional pieces.